The NFL might be in the offseason, but that is no reason not to put Madden 19 on. EA keeps on including fresh MUT content in spite of the off-season. The most recent is the Madden 19 NFL Scouting Combine 2019 promotion which changes it up with several new packs, and Standout, Stars, and more to MUT. It additionally includes an incredible 99 OVR card. There’s also Combine Stars and an incredible 99 CJ2K Masters Card. These cards bring considerably higher skill ratings. 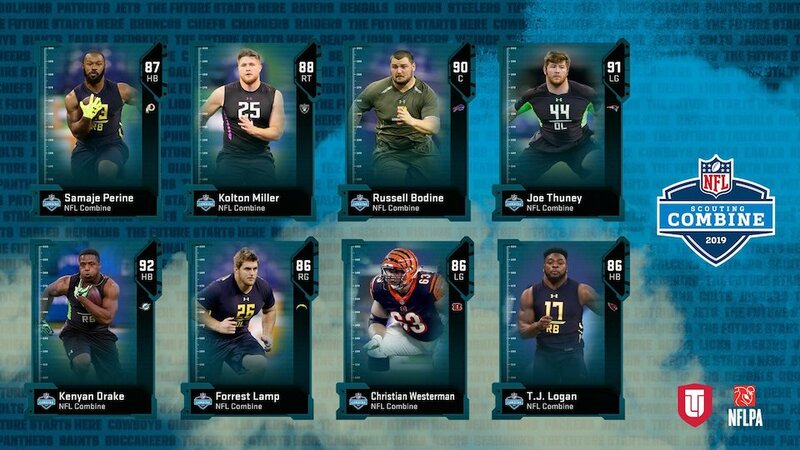 They include a 97 OVR Christian McCaffrey (Panthers), 97 Tommy Bohanon (Jaguars), and a 99 Chris Johnson (Titans)! Look at Johnson's card underneath total with 99s for Speed, Elusiveness, and Acceleration, just as a 98 Agility! 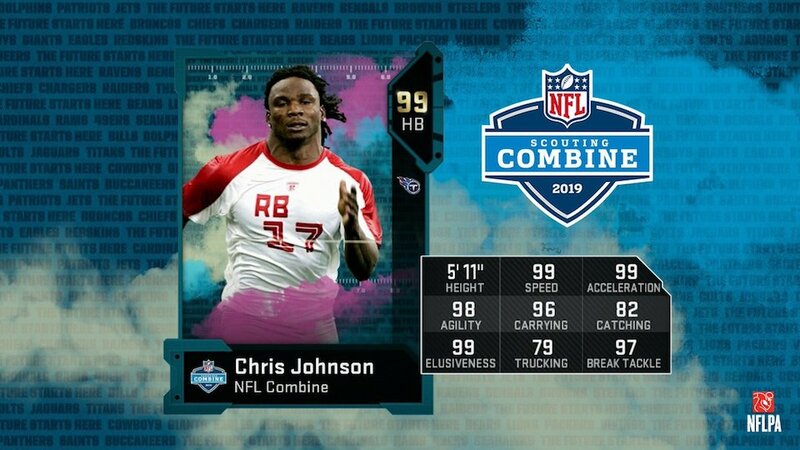 Players will get a Chris Johnson card by just signing into Ultimate Team as a part of the new Madden Scouting Combine promo. Unfortunately, it won't be the 99 card below. Instead, it'll be a 85 OVR Johnson with lower skill ratings. That Johnson card is ideal to use with a new MUT roster or a quick sell for 120 Scouts currency. Here are more details on what we found out on Tuesday evening about Madden's new promo. Including a full list of the players below. 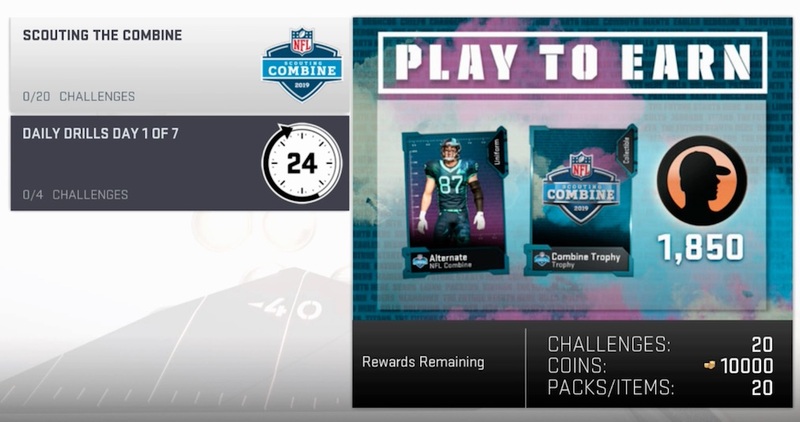 Much the same as other MUT promos, there will be new Scouting Combine 2019 Challenges to help achieve sets, cards, points, currency, or other content. The Madden team uncovered details regarding the “Scouting The Combine" and Daily Drills. With “Scouting The Combine," there are 20 challenges which will pile on 10K worth of coins alongside 1,850 Scouts currency. Players also get a special Combine uniform and trophy for finishing those challenges. With the Daily Drills, these are day by day Solo Challenges which help gain coins, Scouts currency or Combine trophies. The Daily Drills change evert 24 hours for the Promo. Obviously, these are only the basics. It's best to head into the MUT game screens to get more details s on the most proficient way to finish the challenges.